GridLight: Hello World Game Guide — Bot School Inc The GridLight: Hello World Game Guide for Hour of Code! 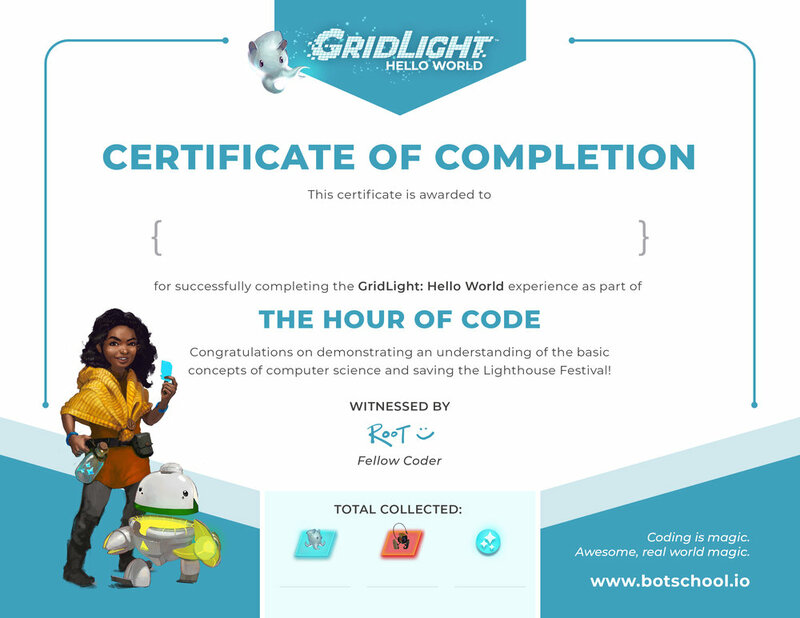 Set up for your GridLight: Hello World activity for Hour of Code™ in three simple steps. Computer Science Education Week is December 3 - 9, 2018! [ 3 ] START PLAYING! Want a deeper dive? Scroll down for more info. Print out a certificate with Root and your Bot Friend Nab! There are spots to write in the player’s name and to jot how many Light Sprites, Null and Bugged Bots, and Light Bits were collected. Click on an image to download a certificate of your Nab, or hit “Download All Certificates” to get a PDF with all four certificates. 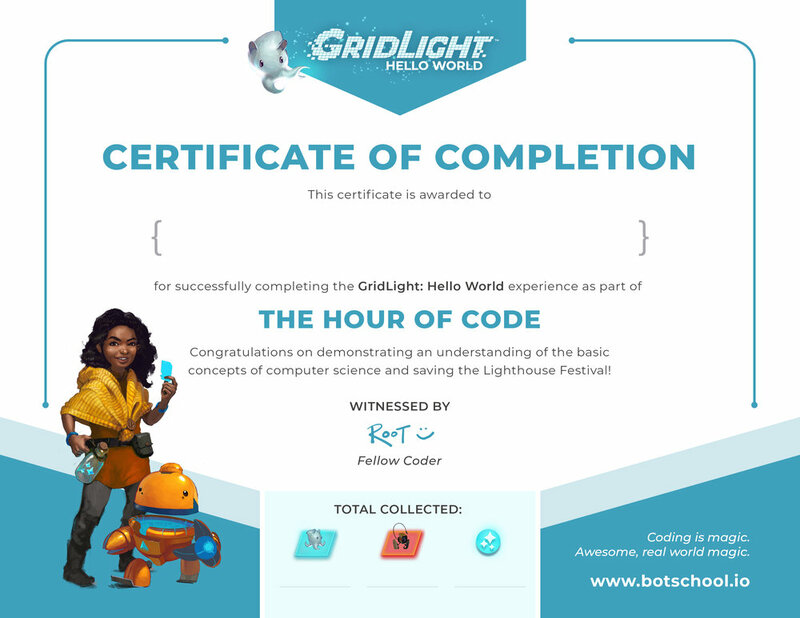 GridLight: Hello World is a short, hour-long activity the Bot School team built to support the Hour of Code initiative. It’s an introductory slice of the full GridLight game that is currently in early development. Follow along on our journey! We’re iterating on the game and would love your feedback. Got a minute to tell us your thoughts? GridLight: Hello World introduces coding fundamentals — sequencing & loops. We integrated these coding principles directly into the gameplay, so even those completely new to computer science can experience that it’s fun, creative, and accessible. NEED A HANDY REFERENCE? Here’s A Game board Diagram!